Redlands Hash House Harriers – Redlands Hash House Harriers is a weekly running and walking group. 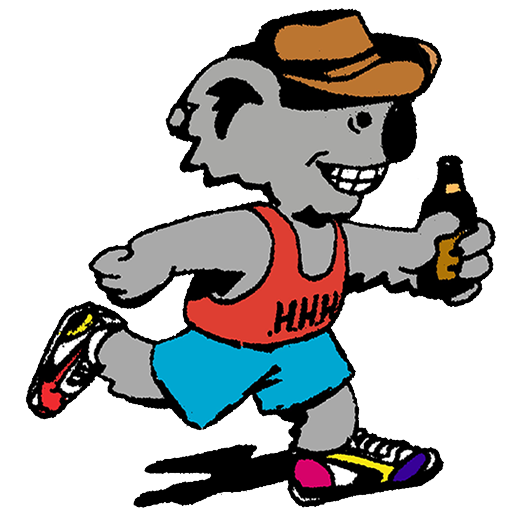 The Hash House Harriers are an international group of non-competitive social running/walking clubs. The Redlands Hash House Harriers meet every Monday evening at 6:30pm. We follow trails of flour and chalk through the suburbs and bushland of the Redlands Coast. Afterwards (and oftentimes during), the hashers enjoy a tasty beverage (often alcoholic in nature) to quench their thirst, and dinner. We are always welcoming of new people looking to stay fit and healthy and that enjoy a drink and a laugh. If you are interested in coming along to a run, please show up to any of our Upcoming Runs and join the Facebook Group to keep up to date with future runs.